I have been growing plants from seeds from early age. My mother had a love of plants and Ikebana, Japanese flower arranging. We moved to Wilmington, NC from Cincinnati, OH in 1972 when I was 10. We dug up ferns and other plants (tho we probably weren’t supposed to) and replanted them in our small, wooded yard. This is where I first came to love native plants. At 14, my mother had a business renting tropical houseplants to offices and restaurants. I worked at Rent-A-Plant off and on until it was sold in the 1990’s. We then started Party Plant Rentals. Bringing large trees and palms to reception halls or tents. Discouraged from pursuing my love for plants into college, I received a Bachelor of Science degree in industrial Technology from East Carolina in 1986, This lead to a job in Wilmington working for a commercial door & frame company, where I was a project manager and company draftsman for about 20 years. Later on I began visiting the mountains in early 2000 and fell in love with the native plants here. So much so, that in 2009, I left everything in Wilmington and moved to Spruce Pine. I received my Associate’s in Applied Science in Horticulture and a Certificate in Micropropagation with honors from Mayland Community College. 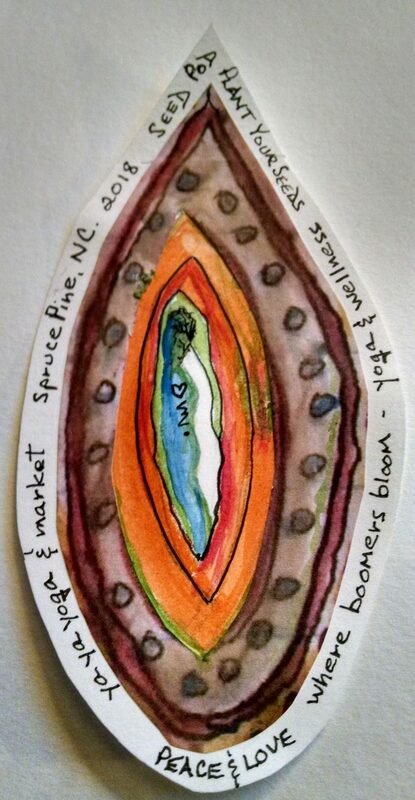 I worked as an estate gardener and microprop lab technician for Gardenlea Fine Gardens in Asheville till the driving became too much and I found a niche at WNC Rentals & YaYa Village. Linda’s own business is going to people’s homes and identifying their plants (native or ornamental). She can help work with native plants that make a home in their landscapes; there are ways to unifying them into the formal garden without pulling them out. Often they are going to be the owner’s best fall flowers! The plant rescue part is where she will go and move plants out of harms way. Linda is Passionate about saving our native plants. Many are in Peril, especially medicinal ones. Linda also enjoys foraging for edible plants. Many of our natives are edible and pack lots of vitamins. You can make a nutritious & delicious salad from greens growing in your yard!